Oh, my goodness. I must have saved a half dozen recipes for a standard Coconut Cake. One day. One day I am going to master this frosting. 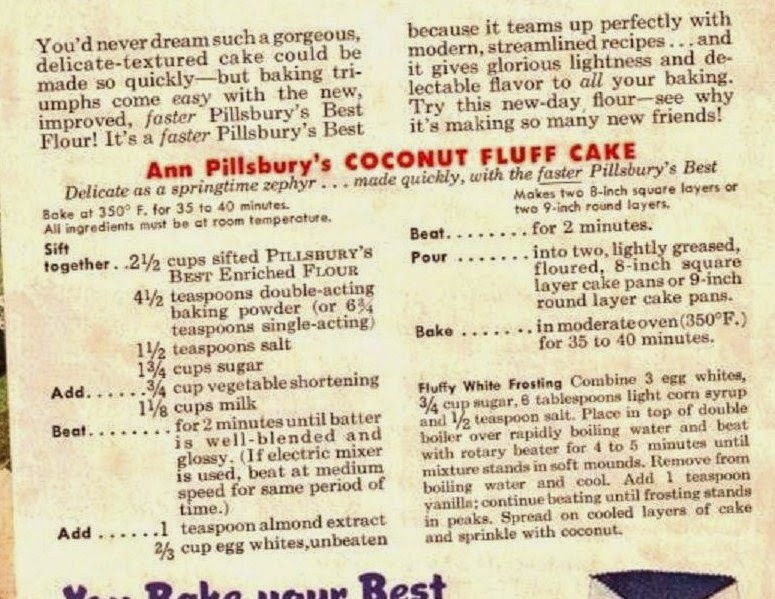 This is the Ann Pillsbury Coconut Fluff Cake recipe. And as simple as it looks to make. I know that the double boiler is here to ruin my day. After a few days of looking at these coconut cake recipes. 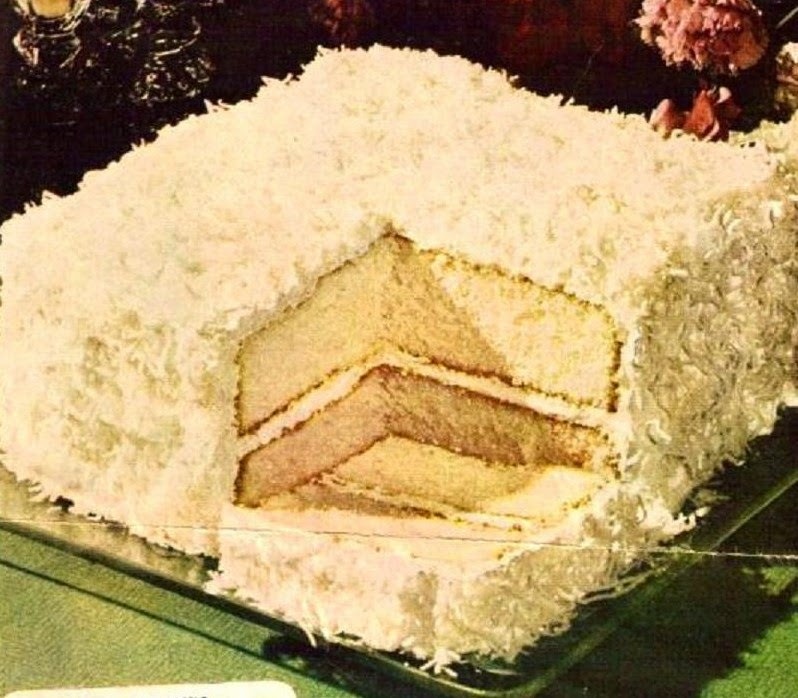 I now realize, I am going to be buying a Pepperidge Farm cake this week.